Ellipsis points are periods in groups of usually three, or sometimes four. They signal either that something has been omitted from quoted text, or that a speaker or writer has paused or trailed off in speech or thought. That's the basics. Now we'll dig in to how they're used. "We the People of the United States ... do ordain and establish this Constitution for the United States of America." 2) Ellipsis points are usually not used to indicate the omission of words that precede the quoted portion. However, in some formal contexts, especially when the quotation is introduced by a colon, ellipsis points are used. Abraham Lincoln's Gettysburg Address ends with a stirring call for national resolve that "government of the people, by the people, for the people, shall not perish from the earth." Its final words define the war's purpose in democratic terms: "... that government of the people, by the people, for the people, shall not perish from the earth." Ellipsis points following quoted material are omitted when the quoted material forms an integral part of a larger sentence. She maintained that it was inconsistent with "government of the people, by the people, for the people." 3) Punctuation used in the original that falls on either side of the ellipsis points is often omitted, but it may be retained if it helps clarify the sentence structure. "Now we are engaged in a great civil war, testing whether that nation ... can long endure." "We the People of the United States, in Order to ... establish Justice, ... and secure the Blessings of Liberty ..., do ordain and establish this Constitution for the United States of America." 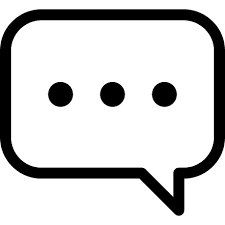 If the omitted part includes the end of a sentence, a four-dot ellipsis may be used, with the first dot being, in truth, a period that follows immediately after the last word. As the Declaration of Independence asserts, "We hold these truths to be self-evident, that all men are created equal, that they are endowed by their Creator with certain unalienable Rights.... That to secure these rights, Governments are instituted among Men, deriving their just powers from the consent of the governed ..."
Those Dot-dot-dot - a case for nutcake?